"1. The Chevron WP7 Unlocker team was NOT paid for their services, and are being kept in contact (Unofficially) to help get input for the developers. 2. The update coming out late Thursday or Early Friday will be involving a new OS image, which will include Copy Paste Assistance for developers, and hints to a OS update in the coming month. 3. All apps on the market WILL get Copy and Paste, WITHOUT any updates made by the developer. 4. The new OS Image will include compatibility for CDMA, and CDMA is promised by the end of Quarter 2 of 2011. 5. 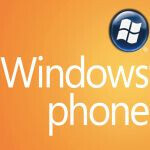 The OS is looking to grab more devs in general and help them get back on track and interested in WP7's software." The addition of CDMA compatibility will surely help their footing here in the U.S., but it might not be enough to recover. Despite the fanfare of its debut, WP7 still hasn't penetrated the market further than Windows Mobile. As for the copy/paste solution, many are complaining that it should have been included from the beginning. But consider how few bugs have been found with the Windows Phone 7 OS; they've already managed to give an impressively stable first offering. And we're excited to see what's next. Seriously Q2 now? If MS wants dev support in America, some support for the more prevalant American Standard might be nice. I am not switching carriers to go buy a Windows Phone. I am rgistered as a Windows Phone 7 Developer but not really getting anywhere because everything costs money and on top of it when the phones cost 500 off contract or around 400 from ebay on top of 100 for the yearly fee on top of making apps for Mobile phones doesn't really pay for squat and if there is a pay off your pay out takes forever, what is the point? To PhoneArena.com or anyone who might know: Any word about possible updates that will enable unified messaging?